How was your Christmas celebration? Or, if you don’t celebrate Christmas, how was your past week? It was busy, busy, busy around here. We have had some fun adventures, a busy Christmas full of family and are getting ready for the new year to bring some more fun. Have you been busy too? Hopefully your hectic holidays are winding down, but don’t stop spreading cheer just yet! Spread cheer with simple surprises this winter season. The kids are out of school and I am trying to find a balance of attention for them and not letting my other responsibilities get left behind or completely overwhelm me. We have been looking for lots of fun activities that aren’t too time consuming or involve a lot of preparation or supplies. We’re working with little attention spans and all. That also lets me spend time with my boys and still not have too much mom guilt when I tell them I need to do some work or a few chores. 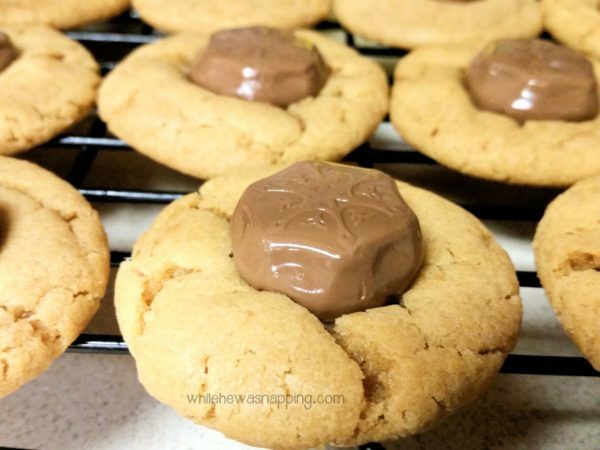 Betty Crocker® cookie mixes have come to our rescue more than once this past week! We love cookies… because, who doesn’t? 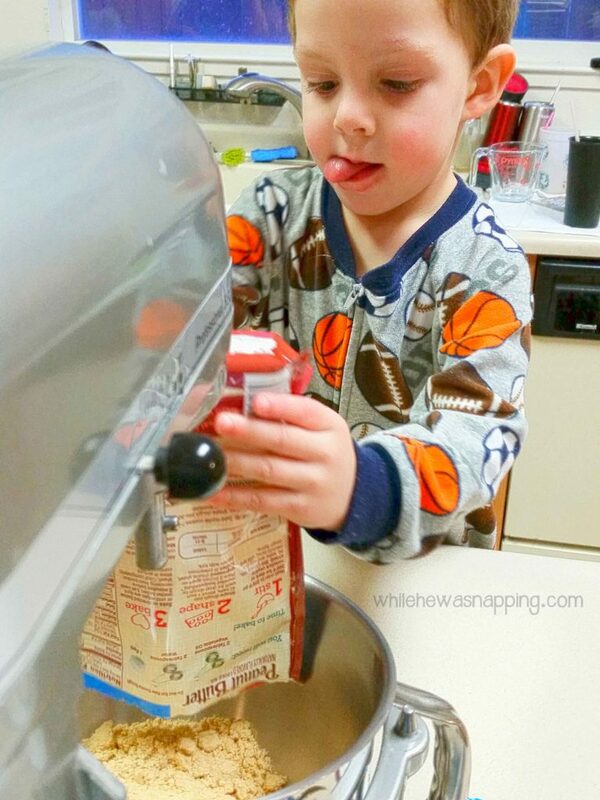 We used Betty Crocker® mixes to make our cookies for Santa and he loved them. He told me so. We’ve shared cookies with lots of family and friends this past week too. It’s been fun to spread some cheer with simple surprises, like a plate of cookies. I knew that Christmas Eve would be a busy day and we had quite a bit of baking we needed to do. Among the pies, rolls and waffle dough we needed to make we also needed to make cookies for Santa. I knew we weren’t going to have a lot of time so I went with one of my favorite flavor combinations. Peanut butter and chocolate! 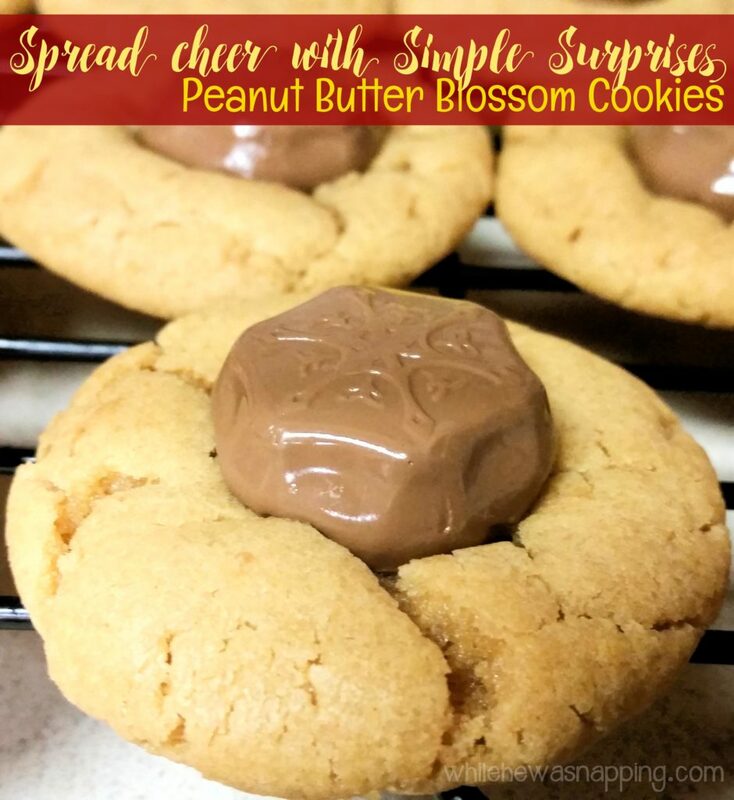 I picked up the Betty Crocker® peanut butter cookie mix at Walmart. I grabbed a sugar cookie one too because I knew my kids would be home for the next three weeks and we might need a project to do. We haven’t made the sugar cookies yet, but there’s still two weeks of Winter Break so I’m not tucking it away into the cupboard just yet. We made peanut butter blossoms for Santa on Christmas Eve and it was perfect. 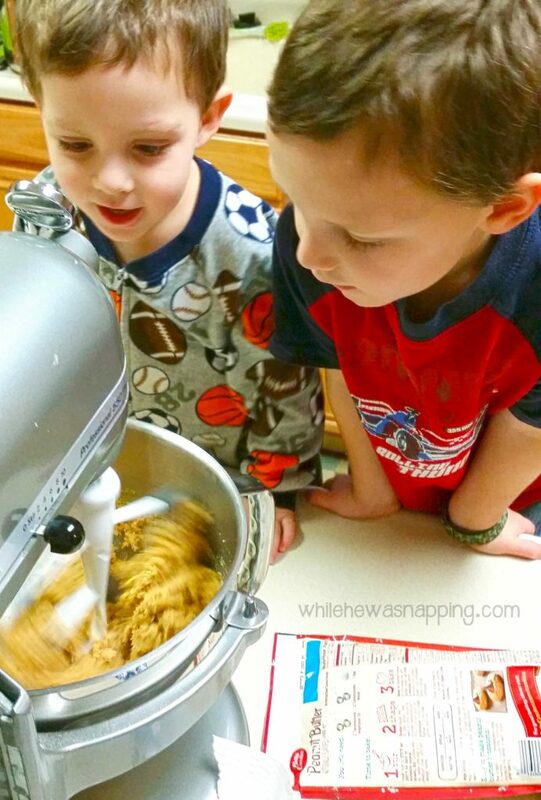 My boys love to help mix things up in the mixer and Betty Crocker® cookie mixes are perfect. They are quick and there’s just enough ingredients that my boys stay interested. We rolled the dough so my boys even got to help with getting it ready to bake, which they usually don’t get to do. While the cookies baked, my boys helped me unwrap the chocolates to top the cookies with. They did really well and didn’t even eat that many of the chocolates, although that was their favorite part, of course. We will be making some more cookies while we wait for New Year’s tomorrow, although I’m not sure what kind of Betty Crocker® mix we’ll use yet. There are so many to choose from. I love being able to get my kids in the kitchen in a low-stress, fun project that we can do together. It’s something we all enjoy. And the end result is pretty great too. Another simple surprise we can all enjoy. If you want some fun cookie ideas, check out the Betty Crocker® Homepage. 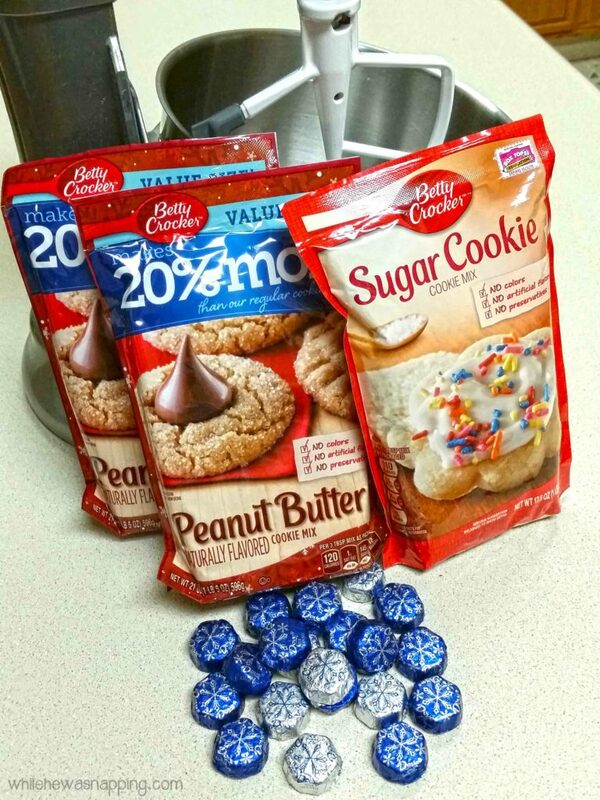 How would you like a coupon to save on some delicious Betty Crocker® cookie mix? 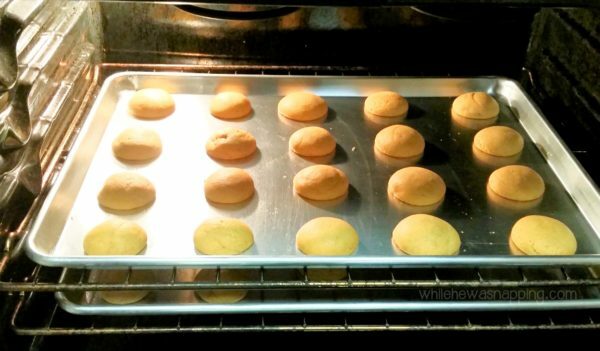 You can do just that with any Betty Crocker® cookie mix and this coupon on Ibotta. How are you going to bake with Betty this winter?